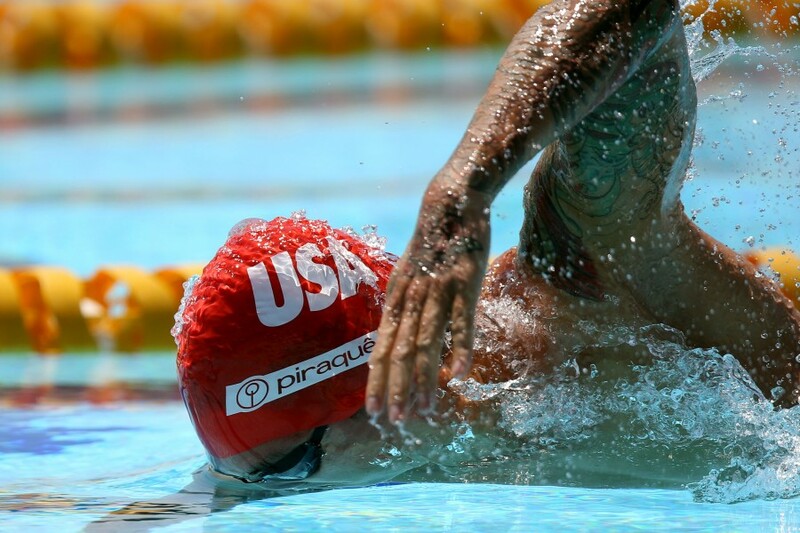 The Fast Lane Challenge was created as one of the main swimming events of the World. The agile and innovative format characterized by a series of single elimination contests between Olympic and World Champions is broadcast live by Esporte Espetacular and it is an absolute audience success nationally and internationally. Four different countries compete for the gold medal every year. Each country is represented by 4 of its best athletes in each category that compete individually and in relay, always swimming their best style. The athletes compete in 50m runs on a single elimination format. The athlete that takes last place in each race is eliminated from the next race until only 2 athletes are left to compete in the final race. Right after this, the athletes come back to the pool to compete in the medley relay race. The Brazilian team composed by the athletes Felipe França, Guilherme Guido, Nicholas Santos and Matheus Santana was the champion of the Piraquê’s Fast Lane Challenge 2014 event.